My son has been an adult for some time now, and our home education days a long behind us, but our approach to education did leave a lasting legacy: we turned following up an interest in a certain area of history into having a jolly. 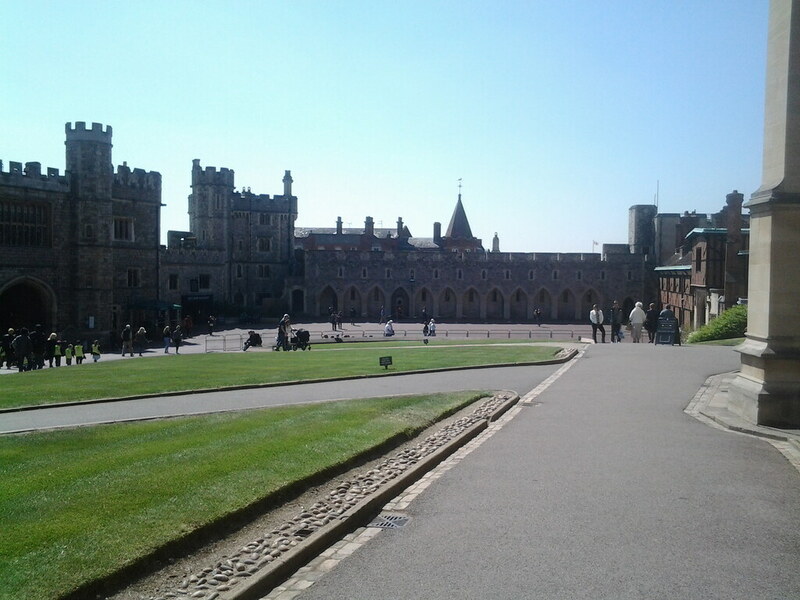 And so, as my lad is still fascinated by Henry VIII and wanted to see where he was buried, we found ourselves visiting Windsor Castle. First port of call is St George’s chapel. Well they call it a chapel – my idea of a chapel is something about the size of a large shed, their idea of a chapel is cathedral sized. 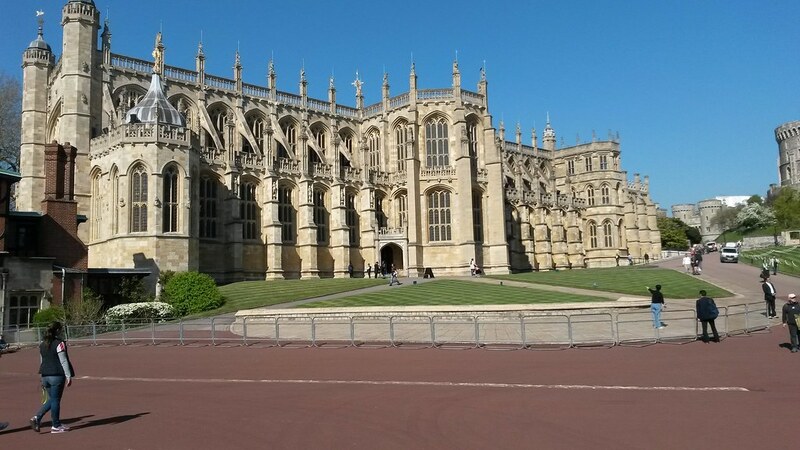 It is a beautiful and peaceful place, and the final resting place of many royals. For my son, this brought a sort of reality to this story from history. For me, I got more of a feel of that when visiting the state apartments, and seeing all the art – so many portraits of Kings and Queens past, that I am so familiar with, only this time the actual pictures. The staff there were lovely – really helpful, and when they clocked my son’s obvious interest, engaged him and were keen to give more information. A good day, and St George’s day too, which seems apt. Once home, our son happily researched what we had seen today, put his memorabilia carefully away, then moved on to the next plan. Still rating Henry VIII as his most favourite character from history, he is now plotting a trip to Hampton Court Palace. I am having a bit a a revamp of the website – ok ok – I know – this has been going on for some time…. it’s just that it is so time consuming….aaaanyway… I have decided to do away with the home education section on the website, as now we have finished home ed, and I am not keeping it up to date. But I thought I would repeat my introduction here, as it seems to have helped a lot of people. I wrote it some years ago, at the beginning of our home education adventure, just at the point of making the decision. Since then my son came on in leaps and bounds, we really enjoyed the experience, and the home education visitor sent by the local authority was delighted with our work. My son learnt to swim, be independent from me, take the bus, manage his money, pursue his interests, we learned a lot of general knowledge, went on many trips, he is a keen reader and best of all, one happy young man. All round, one of my better decisions. Here is the story of how it began. A good friend of mine told me that she was pregnant today, and of course I am so pleased for her. She phoned from overseas to wish my son a happy birthday.So strange that although we are of a similar age, she is only beginning the journey of parenthood, and I am twelve years further on down the line. Oh, how much has happened to us in these last twelve years. I’m still having a crisis that my boy has bigger feet than me.. So, twelve years ago, he arrived into this world, not angry at being wrenched prematurely from his safe womb, but blue and silent. Instead of the tears of joy I so much anticipated, I found myself grimly looking at the new father as the baby was whisked in a panic to the other side of the room. “Do you need a paed!” one midwife asked repeatedly and eventually the answer was ‘yes’. The doors swung open and shut and a green-gowned woman, the paediatrician presumably, burst in, and some fumbling later my son took his first breath. “Oh he had us worried then!” the midwife joked, as I held my newborn son, failing to get him to feed. His blood sugar was low, and he would not breastfeed, and so off to SCBU he went, but it was, I was told, nothing to be worried about. To this day I have not established whether his problems that revealed themselves later were already in place, and hence the poor birth, or if the poor birth was the cause of the problems. Knowing would not change anything. We went home, and I looked after my son. I constantly pointed out the failure to meet milestones, but could get no interest. He sat, sort of, at nine months old, and that seemed to satisfy. After we had passed our second new years eve, predicting yet again this would be the year he would walk, I became yet more aware of his difficulties. We moved closer to my parents, seeking support, and the change of area brought a change of health visitor, who was far from satisfied. And so we fell into the system. “Muscular dystrophy” the paediatrician decided. I stood in WH Smiths and read an encyclopaedia, to find out what this meant, and cried. Weeks later the tests came back normal. Further tests were ordered. Normal. Head X-ray to check for bone damage in the skull, normal. More blood tests, normal, MRI scan, to rule out tumour, normal. This was our life. Tests that came back normal. Son, if you are reading this some time in the future, I’m sorry. They always convinced me it was worth doing, and each time it was not. And with perfect hindsight I could live to regret my choice. I was just making the best decision I could at the time. Each time. The best part of ‘the system’ was the little red boots. We saw an orthotist, and he gave him some piedros, orthopaedic boots. Within three days my son took his first independent steps, at two years eight months. Everything else was ready for him to start walking, just his ankles were too weak. I refused the biopsy. For years I was harassed for saying no. They eventually agreed with me. It would change nothing; maybe only give us a name, but no treatment. The results would always be more worthwhile when he was older anyway. I refused all the tests that would give no gain. When he was four, the focus of my fighting the system took a new direction. Education. He would need support, and to get support he would need a statement of special educational needs. The fight was ugly; I had to call under false names to get put through. In the end I am sure he got his statement simply to make me go away. My marriage failed at that point too, in all that anxiety and stress. I fought on at the system alone. At that time I found the internet, and stumbled across a website called ‘Benign Congenital Hypotonia’. There was a picture of a boy sitting in the w-position. The forbidden position that we were always correcting! I made friends there, of people making the same journey as me. Many I have known for these past eight years, been there through so many trials and tribulations, heard of their children growing up, and still not met them. Yet. The support is and always will be invaluable. It is always the parents in the same position who told me things I really needed to know. So he started school, and had a helper. It was hugely successful. Educationally he was doing just fine, his speech and mobility holding him up. Over the years the learning difficulties became more the problem; the physical is less relevant. He enjoyed his time at primary school, and I shall always look back in fondness at many moments – him being a king in the school play, being cheered on at sports day. Each year I would lock horns with the local education authority to keep the support. We would make the rounds of the therapists, and paediatrician and neurologist, gathering damning judgemental reports to use as weapons. Each year we changed a little. For my son the success of the early years has drifted, just like the friends he made in those times, now he does not really relate to the other kids. And for me, I lose a bit more cope, a bit more fight each battle. Now, it’s time to look at the next school, secondary school. With much angst, we approached the special schools, but the ones for his level of ability have all been closed. I fixed my mind on the secondary school. It would work. It would be made to work. I had my epiphany when driving back from the school run one morning. I had to stop for the lollypop man at the secondary school. Over the big red bridge a surge of children moved, all in backpacks moving to their next class. And I realised, that was what I wanted. I wanted him to be one of them. As the special ed kids crossed the road in front of me, not taking the bridge, I took a reality check. I wanted normal. I wanted to ‘normalise’ my son. And it was not going to happen. I began to wonder what I actually wanted for my boy, and what of those dreams were actually likely. Happiness. Yes, he is happy – did I want to ruin it? No. and life skills. The ability to get on in life, manage his money, cook his dinner, enjoy life. And this I can do by educating at home. Over the years, many of my internet friends would write a life story, or update last year’s to celebrate their child’s birthday. I never have. But here we are at a turning point, and so perhaps its time. Since he was two, I have tried to protect my child from ‘the system’ from unnecessary tests and procedures, not allowed him to be abandoned within the school system, and I really feel I am done fighting. I am not giving up; I am taking back control, after ten years. I hope I am not so very late. Now we will concentrate on him being happy, and giving him the foundation and the skills he will need to cope in adult life. Today was officially the last day of home education. Well actually officially the last day of home education occurred some weeks ago, when my son started a part time job. Only, he wanted to carry on until the ‘end of term’ as this was the time of year we pulled out of school and started home ed many years ago. And although home ed is officially and unofficially over, the support and learning will still go on indefinitely. But having said all that, I feel a little bit bereft and mostly ok about it. Bereft because it has been a lot of fun, hard work too, but fun. And mostly ok because the timing is right. It has, everyone agrees, been a success. It is ideal for someone with a learning disability to go at a different pace. I have learnt lots along the way too, as in any areas I was unsure, we learned together. 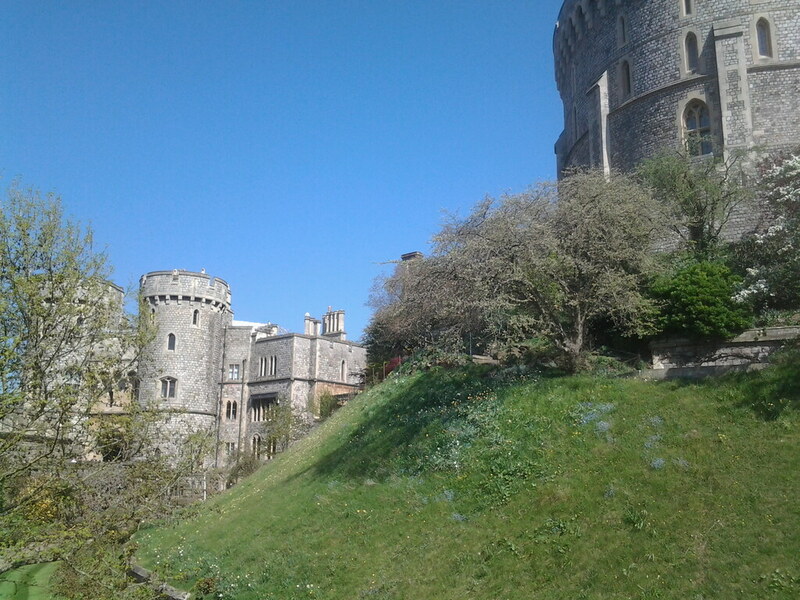 We’ve followed his interests and had trips to Roman ruins, and hunted fossils, and climbed Westminster Clock Tower , to celebrate 150 years of Big Ben, we visited the Tower of London, and we did a world tour (well ok, a bit of England and Wales) in our van. He’s walked for miles on the moors and the coast path, and we have visited lots of ancient hut circles, standing stones and barrows. We have made so many trips. And we’ve picnicked everywhere! He’s come on from a fear of numbers to managing his own bank account on a spreadsheet, from not being able to be left alone to taking the bus independently, from reading baby books to paperbacks. He’s just finished reading Dickens’ A Christmas Carol just for fun. Mostly, though, it is great to see how his confidence and independence has developed. Yes, I am proud of our achievements. It’s going to be a bit odd, after the holidays, without home ed taking up so much of my life, but a lot of my time will be the same – taxi-ing him to his courses and social things etc, and being there in case things don’t quite work out as they should, and a lot of nudging in the right direction. We had a celebratory meal, just as we did this time of year many years ago when we had the last day of school, ever. Now this era has also ended. I’m still here – just quiet at the mo. Life seems a tad frantic, dividing my time between home ed, the animals and birds, and dealing with the crop. and then on top of that, fighting the system as ever on behalf of my son. The joy of home ed was to step out of that for a few years and just enjoy the time, but as he moves into adulthood, it is time to roll up the sleeves again. And for anyone arriving in the same place, here is a link to a great leaflet: money, when your child reaches 16 from the charity, contact a family. It’s a shame you only find out these things through word of mouth or charities.. if I were a cynic I would imply that the government would rather we did not find out…. but that can’t be right can it? oh no…. So a distracted life at the mo, dividing my time taking my son about, or one to one home ed, the plumbers are in our house, and seem to need every room and to turn off the water/gas/electric at various moments.. still they are cheerful and I trust them, making phonecalls through gritted teeth, and listening to a lot of classical music when on hold, finding important bits of paper, stoning a million plums and worrying over freezer space. A bit of everything sort of day. The day started with the arrival of the first chick hatching (I told himself I could hear chirping), Home education first thing, including driving my son to his course, then back to count the chicks.. 4 by then. Out to check on the animals. Am very glad we have sheared the sheep, as today was hot – and yesterday we had rain. Not the useful fill water butts type.. just the get the wool wet and attract flies type.. The ducklings (nearly ducks) denied having been in their swimming pool.. funny since they were wet.. and the pool muddy and water everywhere. We still haven’t moved the muscovy ducks in, we thought we should give the ducklings a moment before introducing something else to be scared of. That and muscovy ducks have claws and we will have to carry them. Chloe is still sitting tight on her nest, so we shall leave her in situ. I made more rhubarb cordial, and we picked elderflowers to make more champagne and cordial, and I moved lots and lots of plants out of the greenhouse to harden off. Mostly because of lack of space in greenhouse as I plant the last of the tomatoes. I think I shall end up bringing them back in later in the week as there are strong winds forecast. We planted the last of the peas – hurrah! definitely sick of the sight of them now after all that sowing and planting and pea sticks poking you etc. A walk with himself in the evening, in an effort to strike that work life balance thingy.. and to appreciate what a lovely place we live in. Tea of home made spaghetti puttenesca (pasta made with a mix of duck and hens eggs!) and then we cracked and opened the incubator as there were so many chicks charging about it seemed a good idea. Eleven out, more pipping. And then the watering of the greenhouses and pots.. which seem to take longer every day. Fortunately it is light until past nine now. It can be confusing, jumping from one role to another, from home ed to smallholder. But we enjoy both parts, and there is lots of overlap. 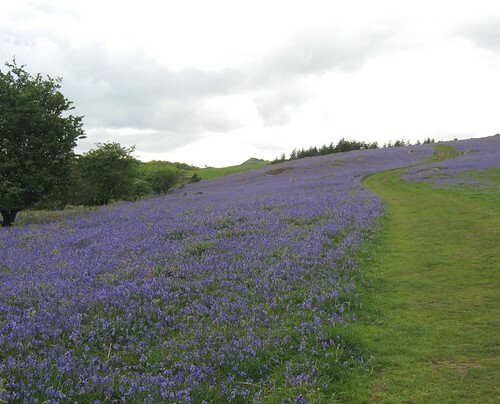 Yesterday we went walking on the moors amongst the bluebell fields near Hound Tor. I dont think I shall ever get bored of this scene, and the scent wafting over us was amazing. My day is mixed up – animals and greenhouses first thing, then the home ed day starts, and watching a DVD looking at the French revolution and Queen Victoria , break time and I turn the incubators, check the animals, give the ducklings yet more food and water, collect the eggs, then we do some maths and look at bank accounts, lunch, hastily scoffed then I can get out to the greenhouse and sow some beans and squashes, turn the incubators again, then up onto the moors for a walk. Home, my son reads and I check the animals and collect more eggs, and give yet more food and water to the ducklings, then back to more sowing., and planting. At the moment, any time during the day not given to home ed with my son, or tending the animals and birds is given to the big seed sowing and planting rush. By rush I mean panic… As all of these seeds should have been in two weeks ago. I’m getting there, and soon I will have sown my last bean and wonder what to do with myself. Well of course there is always home ed and the planting, and hoeing and weeding and then the harvesting, and blanching and freezing…..
I’m glad we got to see the bluebells this year.